Sterling also felt the pressure of the stronger dollar. The Bank of England is most likely not far behind the Fed in terms of rate rises, and for this reason cable has struggled to make any headway with neither side showing strength. 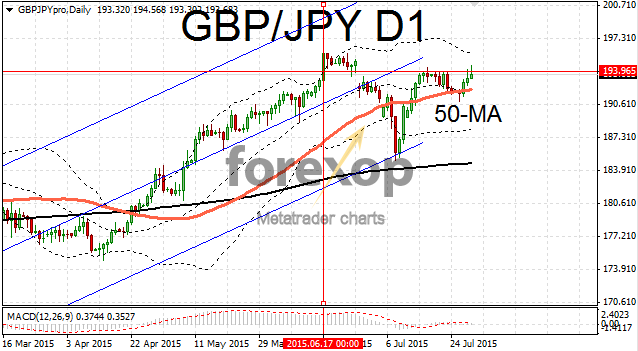 GBP/USD has been locked in a range for much of the month unable to break above the upper 1.56 area. 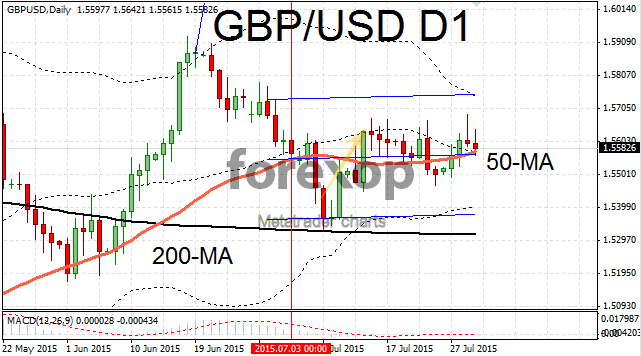 EUR/GBP has proved a much softer target and GBP has pushed the euro relentlessly. The pair sank again beneath the key 0.70 level after some disappointing data from the Eurozone economies. Three days of falls have taken EUR/GBP back to 0.6997 just above an eight year low for the single currency. 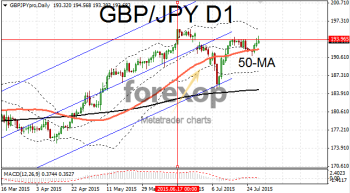 At 193.69 GBP/JPY was stronger against the yen moving upwards for the third day in a row. Strong momentum is keeping the pair above the critical moving averages. However resistance around 193.96 is preventing the pair from moving up to test highs reached last month. The Australian dollar was up against the yen, but weaker against the US dollar. In a speech Australia’s central bank chief Glenn Stevens warned that the current growth rate may be unsustainable given demographic changes and the slowdown in demand for country’s raw materials. AUD/USD fell to 0.7280 while AUD/JYP was more upbeat staying above the 90 level at 90.51. Markets were wary of placing big bets ahead of a batch of data on the Japanese economy due for release later today. Consumer inflation and spending is due as well as the latest unemployment figures.